Tomorrow is the Fourth of July, a holiday that we celebrate with Americans of all religions and ethnic groups. 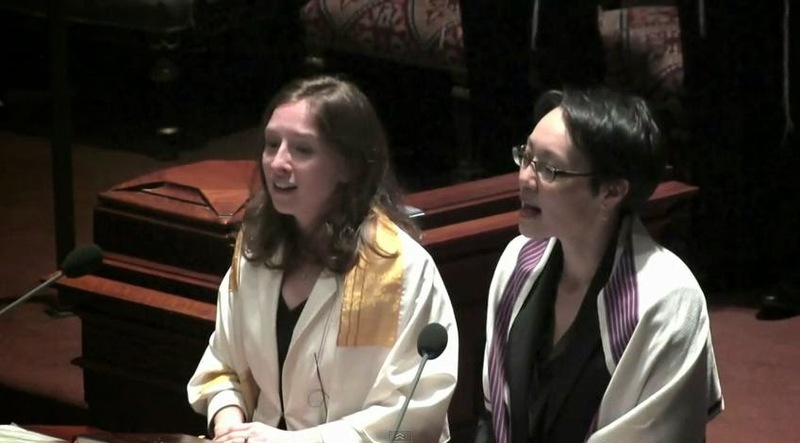 A few years ago, Angela Buchwald and Julia Katz, the cantors of New York City's Central Synagogue, added a mashup of Hatikvah and America the Beautiful to a Shabbat service to give voice to the hope and vision that these two countries have shared from their birth. Have a happy Fourth tomorrow and enjoy the music. Beautiful voices and lovely message!!! I love Rabbi Cantor Angela Buckwald. Watch her conduct services and sing on streaming Internet. She was the subject on "Following Your Roots" on PBS. While her father was Jewish and the descendent of Eastern European Rabbis, her mother's lineage was traced back centuries to Korean Royalty. She is a true Jewish American Princess. The music is wonderful and the cantorial voices magnificent but why did they know America The Beautiful by heart but not Hatikvah?